I watched Burt Wonderstone for the first time last week. Afterwards, I felt more sad than I should have after watching a Steve Carell comedy. My heart sank into my shoes, because I felt as though I witnessed the death of several careers in the course of an hour and a half. This is the fault of none of the actors involved in this movie. There's a lot of talent present here, seasoned veterans who have been making us laugh for decades. Many of the jokes land perfectly on their feet. The pacing is perfect, the cinematography is glitzy and colorful. This movie had every chance to succeed. What kills this movie is the fact that it does not listen to the very message it is giving the audience. 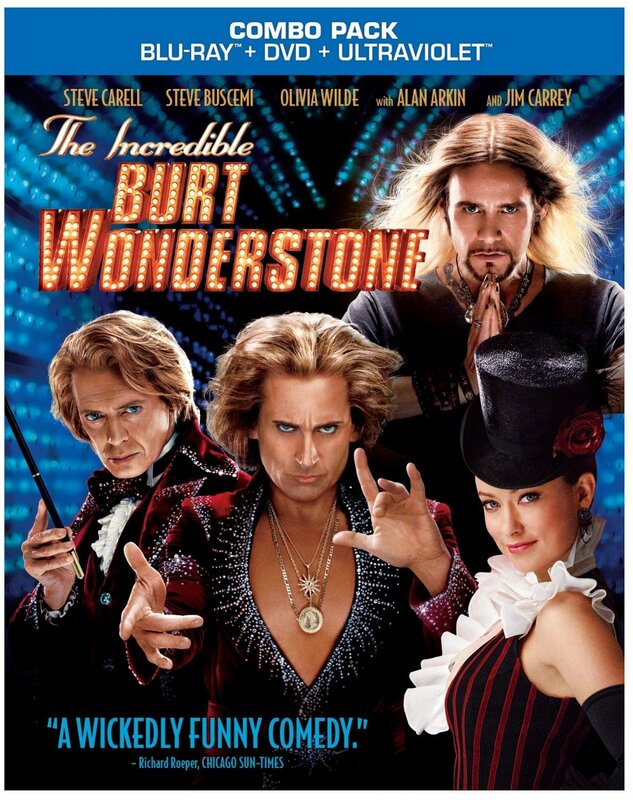 Burt Wonderstone is about artistic integrity, keeping your passions alive, and avoiding the easy way to popularity. And these themes are presented in the most formulaic, trite, soulless package released in theaters in years. A damn shame is what this movie is. I know very few people who ever saw it. We unlucky few can never forget it. This game takes place in the lovely, troubled city of Las Vegas. And (say it with me now), what do you drink in Vegas? 1. Drink for Title Drops. For easy mode, that's every time you see or hear "The Incredible Burt Wonderstone." 4. Drink when a magic trick is performed. 5. Drink when someone gets hurt. Characters in the movie only, please. 1. Title Drops: Drink when someone says "Burt Wonderstone". 2. Drink when Jane is called "Nicole". Those women. So interchangeable, amarite? 3. Drink when someone says the name of a magician's act. Or in the case of Steve Grey, his primetime television show. 1. Title drops. Drink when someone says the word "Incredible". Even if they only kinda sorta deserve it. This movie's only sort of fun; it's our game that's truly incredible. Let's play the Burt Wonderstone drinking game! I would like to reiterate that this movie's badness has NOTHING to do with the actors involved. This is a talented group of people, who are all doing the best that they can and having fun with the material they were given. And the crazy thing is, they are ALL having fun. It's hard not to when your co-stars are all fantastic actors and David Copperfield is hanging around the set to teach you magic tricks. Playing this game involved a second, more depressing game called "what are you doing here", in which we mourned the presence of every comedic actor present. 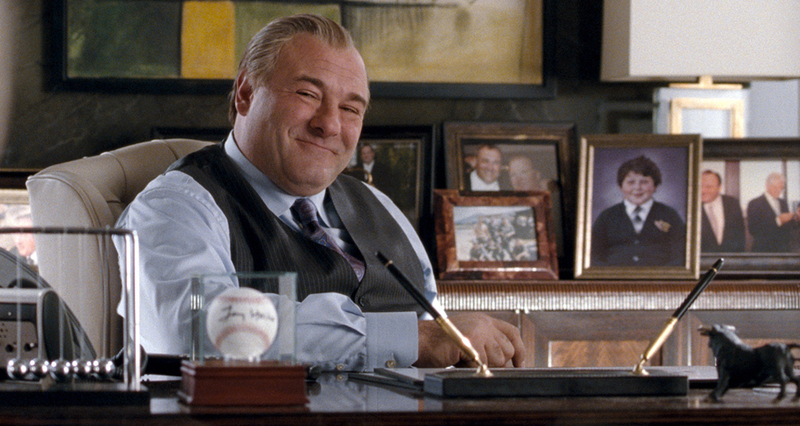 Let's get this out of the way, first: this is one of James Gandolfini's last movies. Already the movie is more depressing. He didn't know he would die that summer. He thought he had time. Nope. Burt Wonderstone stole his time. Then we've got Alan Arkin, Jay Mohr, Gillian Jacobs, Olivia Wilde...hell, Brad Garrett's in this movie. That one stung. I understand why they're here. They're actors. They need money. This movie had a HUGE budget. And they all got to work with some big name stars. Nothing really noteworthy here. But two of the stars of this movie drove us to discussion: Steve Buscemi and Jim Carrey. Buscemi delivers a truly soulful performance as Anton Marvelton, and it's great to see the actor as the A-1 comedian he is. He and Carrell have great chemistry, and he does a lot with very little. The problem is that he's gone for half of the movie, leaving Carrell to carry the rest of the movie himself. Just as Wonderstone finds out during the course of the movie, he can't quite handle it. Because Buscemi delivers the performance that most closely resembles how Hyu-Mons behave, we felt what we like to call "sympathy" for him. For some of us (Shirley Whiskas), this translated to attraction. "He's looks weird," she argued, "but then you look at him again, and you're like "Ah"." "That's human empathy, not attractiveness," countered Some Guy. Of course, standing next to Olivia Wilde, nobody's pretty. Then you've got Jim Carrey's character, who gives the least empathetic performance of the movie (more on that later). At first Carrey seems miscast as Steve Grey, the daredevil magician with a penchant for pain. The more you watch him, though, the more you're struck by the attention to detail he's giving this character. Carrey doesn't get a chance to be "bad" very often, and he relishes the role and adds wonderful physical touches to the character. We were all very impressed. So a hearty congratulations to all the actors involved in this movie. You helped. In most ways. 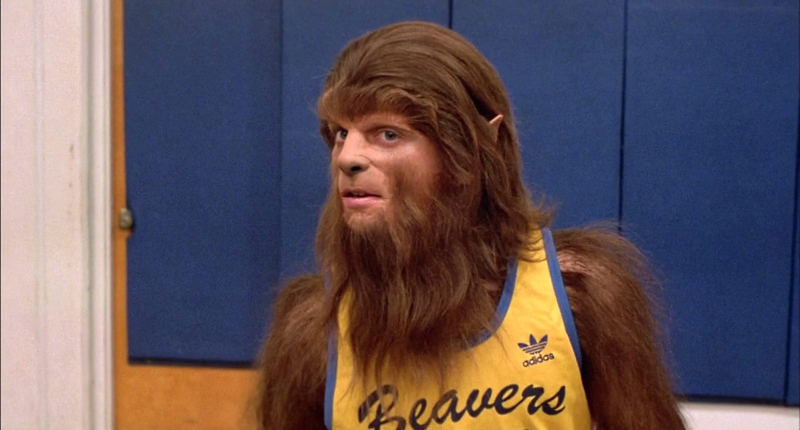 So with all these wonderful actors, how did this movie end up as a drop in the ocean of film history? The main reason is that the tone of the movie is difficult to nail down. The subject matter is patently silly. 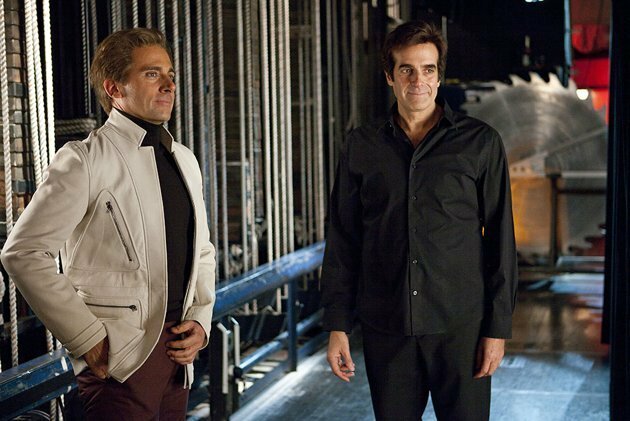 A movie about stage magicians, starring Steve Carrell, should be laugh out loud funny. The problem may be that the actors are too good at delivering the pathos written into their roles, because when translated from page to screen the movie is more sad than funny. "If they weren't magicians," argued Seb, "If they were something else, this wouldn't be funny at all." Let's take Steve Grey. This character uses self-mutilation and shock value to get a positive reaction from his audience. His "tricks" are often brutal; one minute he'll be digging through an open wound in his cheek (drink), the next he'll be burning messages into his flesh (and drink). For an entire thirty seconds, the audience is led to believe that Jim Carrey killed a puppy. The Fuzzy Masked Man didn't understand my problem with this scene. It's not just that the movie thinks puppy death is funny. It's that the movie is blatantly ignoring its own message. Later in the movie, Steve Gray drills a hole in his head, leaving himself mentally handicapped - permanently. This is followed by a scene in which our heros drug the entire audience of a thousand-seat theater and move them to a hillside overlooking Las Vegas, in a trick they charmingly call "The Disappearing Audience." "Okay," faltered Fuzzy, "roofies...are a perfectly legitimate way...to do magic." The thing about dark humor is that it still has to be rooted in identifiable emotions and fully back by the circumstances. That's why it's more difficult to pull off than, say, slapstick. It's walking a finer line between tragedy and comedy. Jim Carrey drilling a hole in his head is not funny because there is literally NOTHING for him to gain by doing so. The stakes are too low. And by showing our protagonists drugging their audience to win their respect, the movie is relying on the same kind of shock value is claims to denounce in the first place. Beyond all that, the movie has no sense of fun to contrast the darkness. Several of us voiced a wish that Wes Anderson had directed the movie, a man proven to straddle that fine line between comedy and icky stuff. But in a film where the magic tricks are all fake, and the stuff we do see involves exploiting the consumer, we can't help but feel like the film's victims. We are the people being drugged. And no amount of magical appearing butterflies is going to change that. All this being said, this movie still follows a strict comedy formula: Jerk is shown up by pompous younger rival, loses everything, meets a wise mentor who helps him rediscover his passion, gets "the girl", and redeems himself in front of his public. Happily ever after. The movie seems to acknowledge the formula it's following, and is almost subconciously trying to subvert it. Unfortunately, this makes the movie seem even more clumsy. In a split second scene, Burt throws away a cardboard cut-out of himself. Fuzzy saw this as his "transformation scene." "No," argued Seb, "It means that he hates himself." This is an example of the rushed nature of this movie, but the film manages to drag at the same time. The rest of Burt's humanization takes place absurdly quickly - over the course of a month. And during that thime, the character does a complete 180, to the point where he wins the respect and love of Olivia Wilde, who professed deep disgust for him at the beginning of their story arc. "I don't want him to get the girl," Shirley moaned. We felt as though Carrell did not deserve to win the self-possessed, beautiful, intelligent, tough woman her character is set up to be. No flaws paired with deeply flawed does not a heavenly match make. When the two do hook up, it seems contrived, and even though a genuinely funny scene follows this event, we don't really take it in. This script apparently spent over five years in development hell and went through fifteen rewrites before filming. I am unsurprised. The wear and tear shows in the finished product, and some plot holes are impossible to fill. It saddens me, because the jokes that do land are overshadowed by the flaws in the movie that were never going to be fixed. The bottom line is that if you're ever going to see this movie, you should have a drink in your hand. It'll make the funnier moments pop and the teeth-grinding moments more bearable. Here are some extra rules to make this game magical. I will give this movie credit, it did get a lot of laughs out of me both times I watched it. So I guess it does its job to a certain extent. There's a lot of them. And they need your support. This includes fake products. Or products that SHOULD be real. You might think that I'm not a fan of campy movies from some of the reviews I've written. It's just not true! Let's kick off Halloween with a movie that does camp RIGHT. For Your Inebriation is written by Krissy Pappau (Hollis Beck). Video footage is taken and edited by Seb (Amy Yourd). All "The Incredible Burt Wonderstone" related footage is owned by New Line Cinema and Warner Brothers Entertainment. I don't care so much for the movies, but I think you have a real talent for movie reviews. Have you considered doing this for a living?